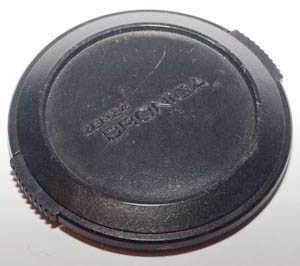 A variety of used front and rear lens caps and camera body caps for sale. 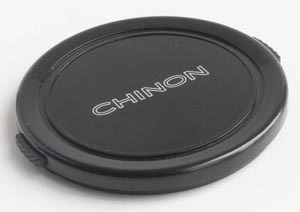 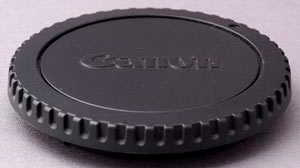 Comment: Canon 50mm push on Front lens cap. 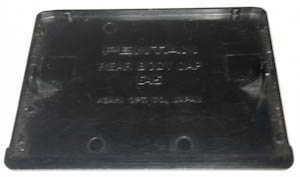 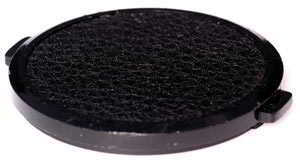 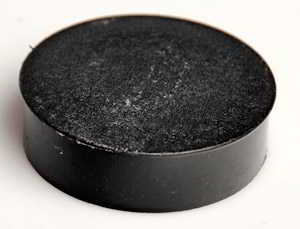 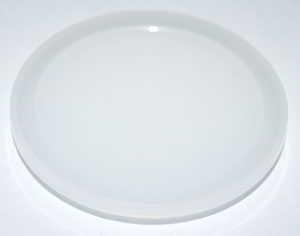 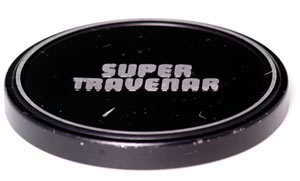 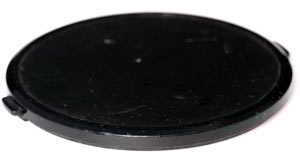 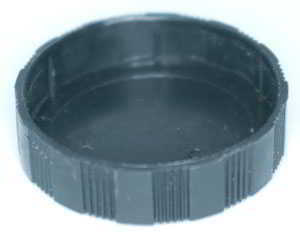 Genuine manufacturer's item black plastic. 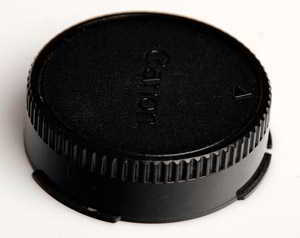 designed for use with canonet cameras, but could also be used on any camera with a 48mm thread. 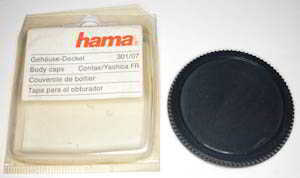 Comment: Hama body cap for Contax or Yashica SLR body protection. 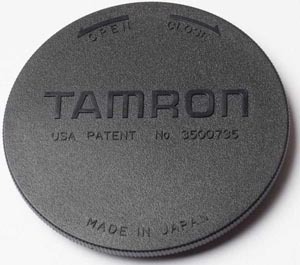 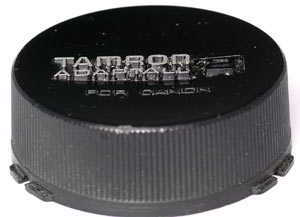 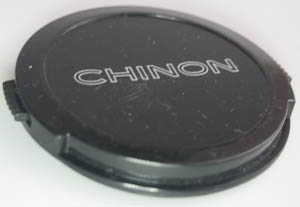 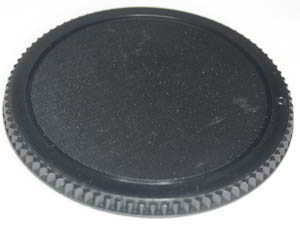 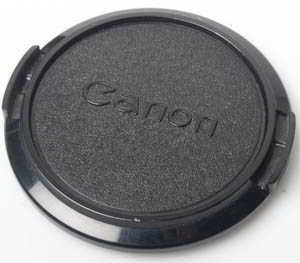 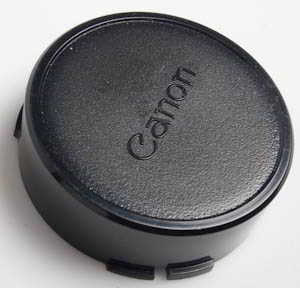 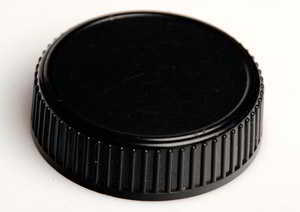 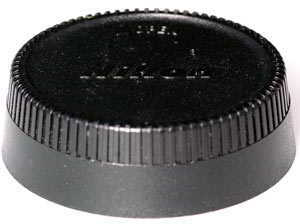 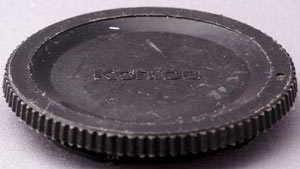 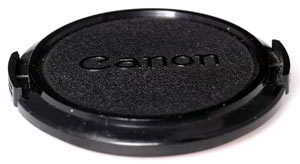 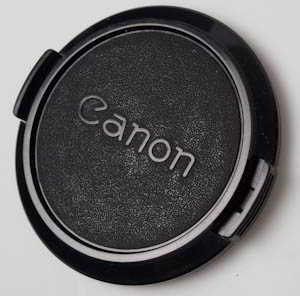 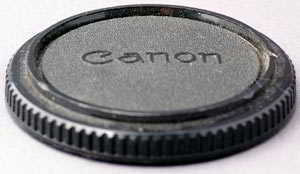 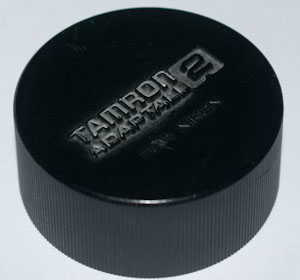 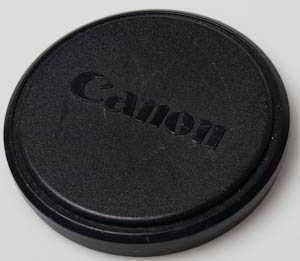 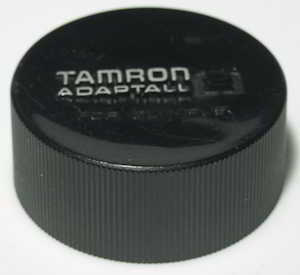 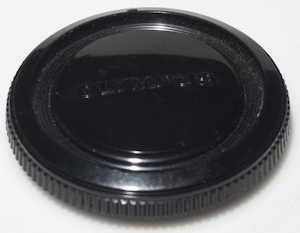 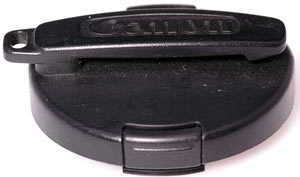 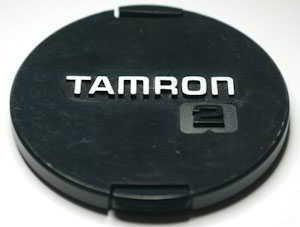 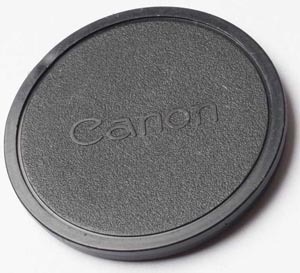 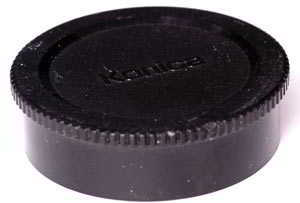 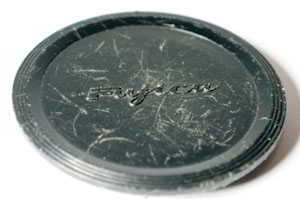 Comment: Body cap for a Canon FD series SLR camera. 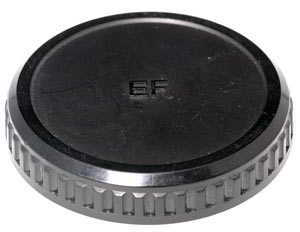 Fits A, T and F series. 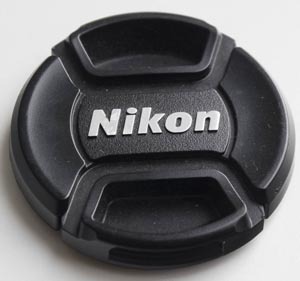 Comment: Nikon body cap Genuine manufacturer's item push on clear. 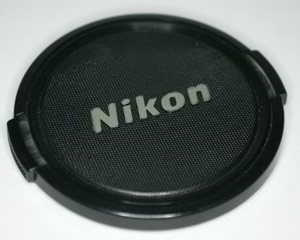 For any Nikon camera film or digital slr body with an AI or AF mount. 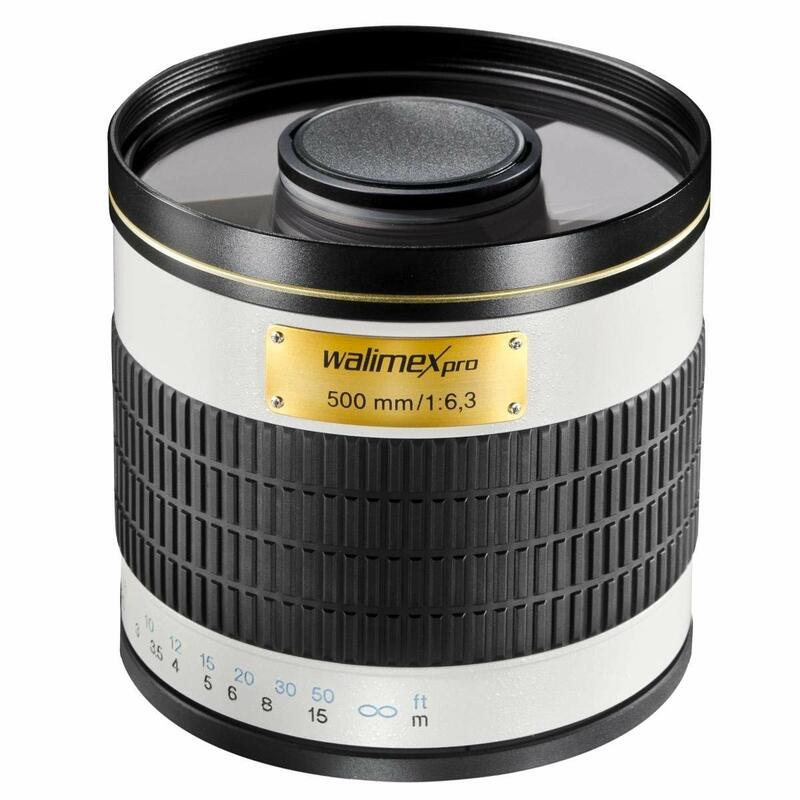 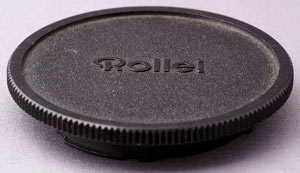 Will also slip over a 55mm filter if you wanted to use it as a lens cap. 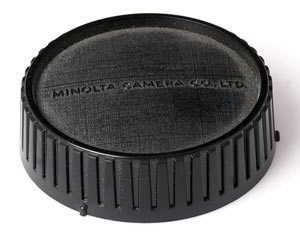 Comment: Genuine manufacturer's item Olympus camera body cap for all OM cameras. 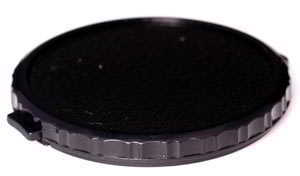 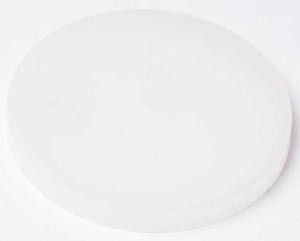 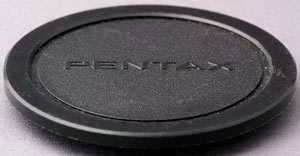 Comment: Genuine manufacturer's item Olympus Rear lens cap for all OM lenses. 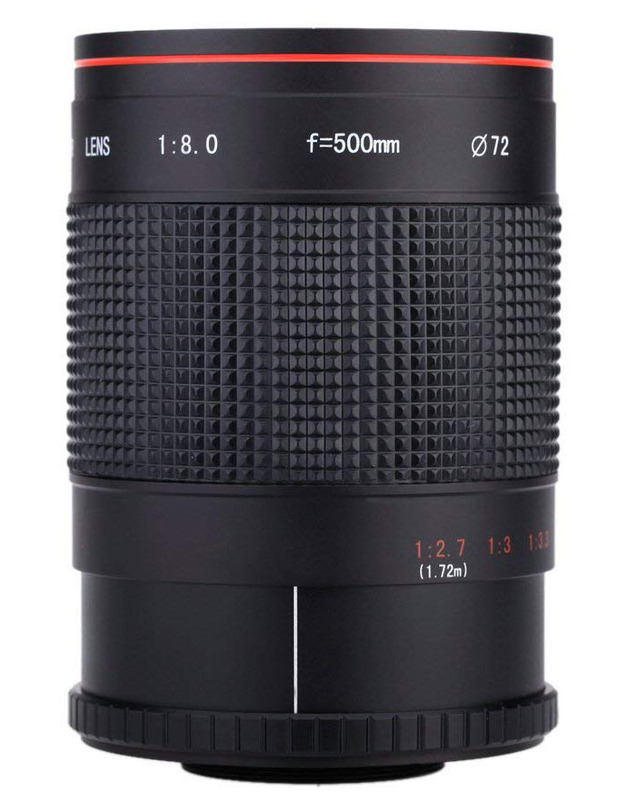 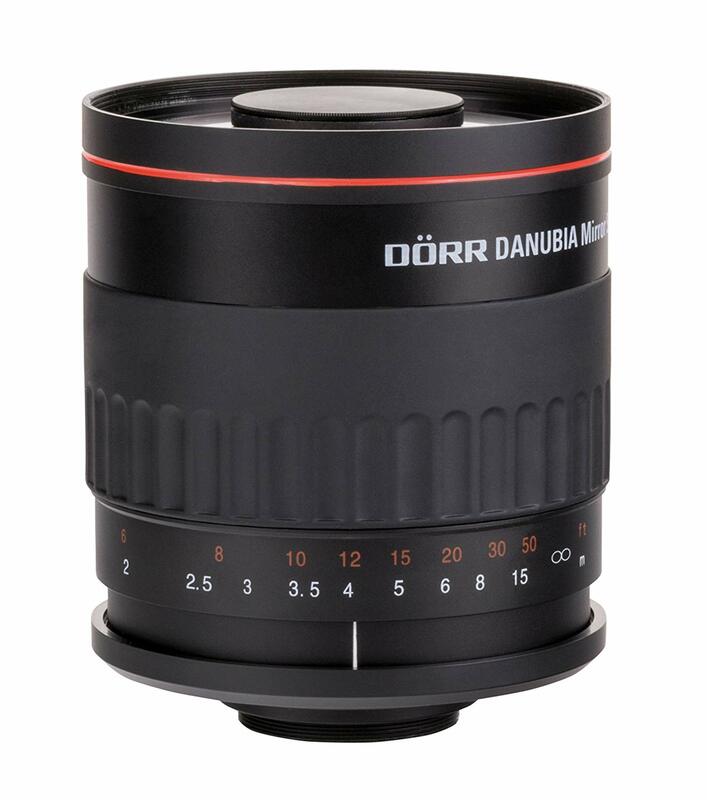 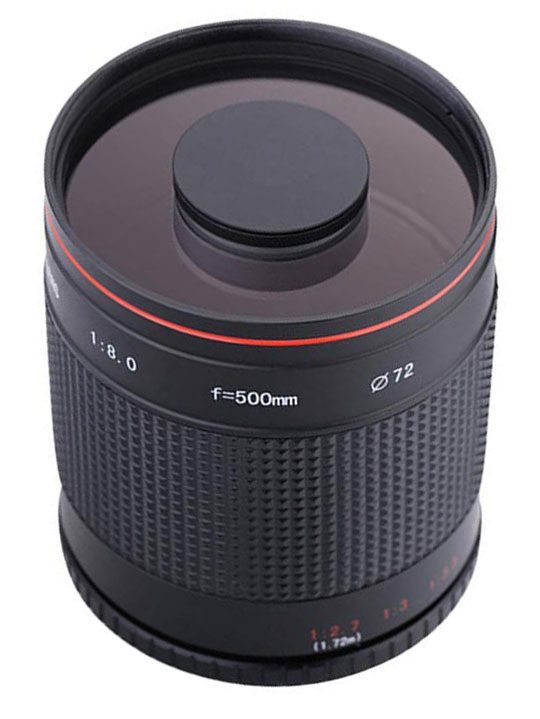 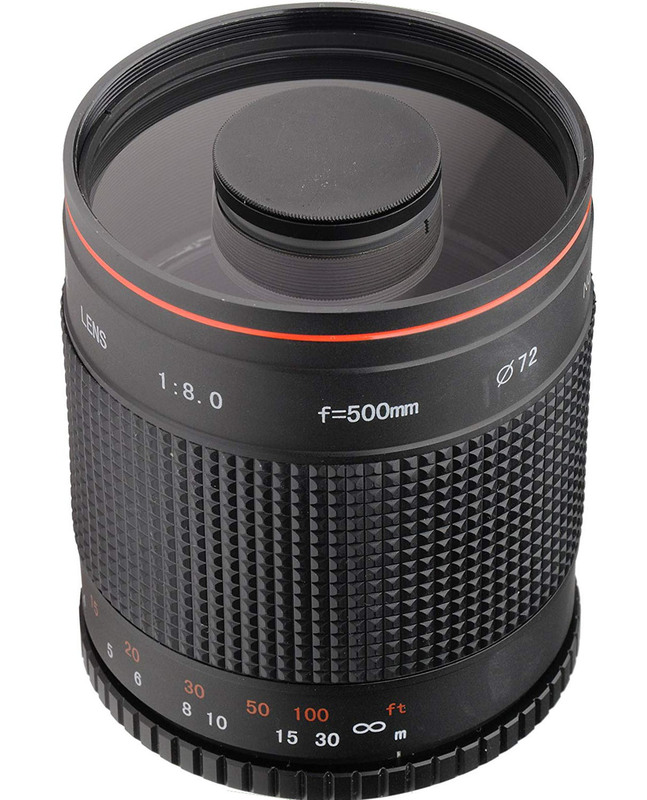 Will also fit snugly onto any of the E series digital lenses. 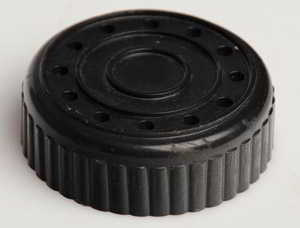 Comment: Genuine manufacturer's item bayonet fit black. 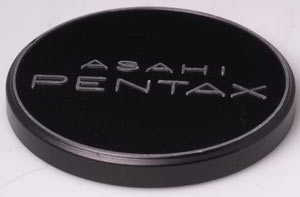 Has Asahi OPtical Co Japan embossed on rear. 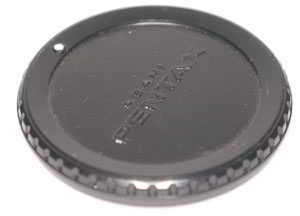 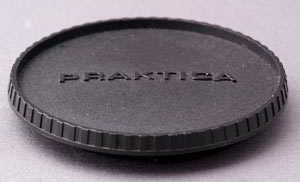 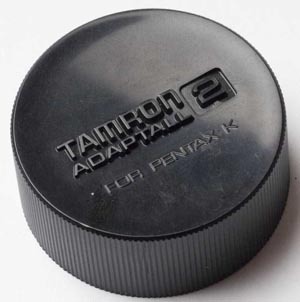 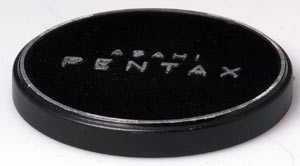 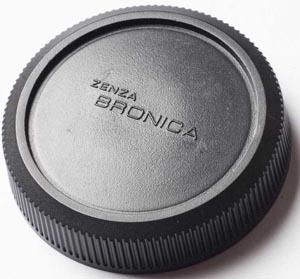 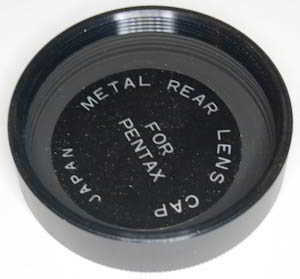 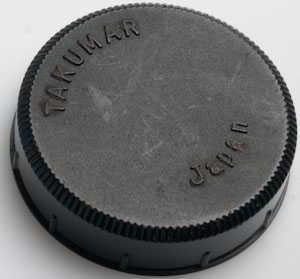 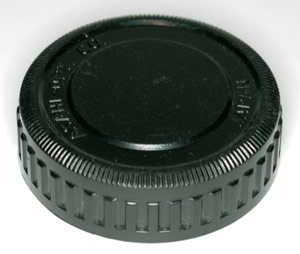 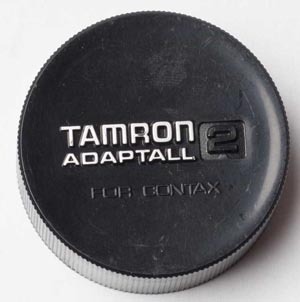 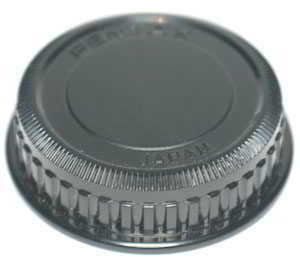 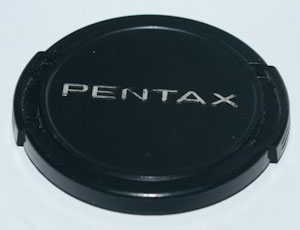 Comment: Genuine manufacturer's item bayonet body cap for the rear of pentax 645 cameras. 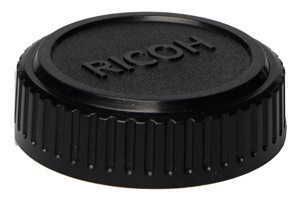 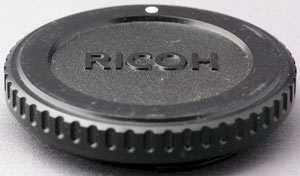 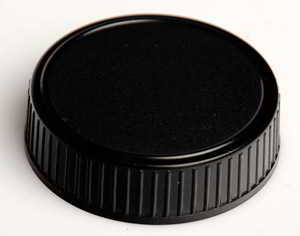 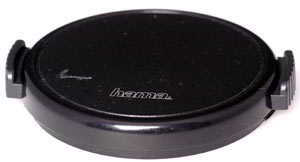 Comment: Genuine manufacturer's item Ricoh Rear lens cap for all Ricoh XR lenses. 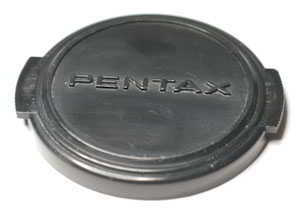 Will also fit any Pentax K film and digital lenses. 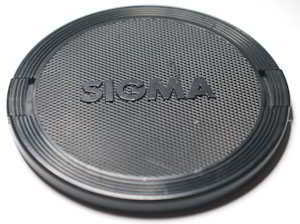 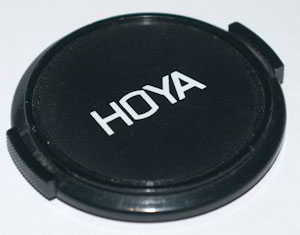 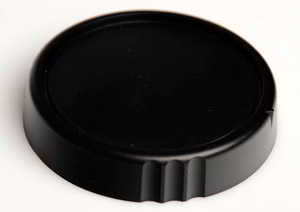 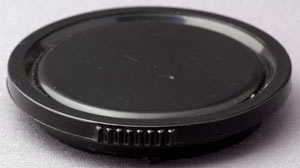 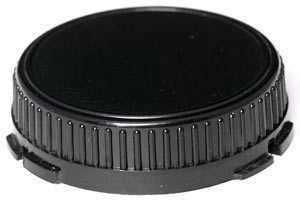 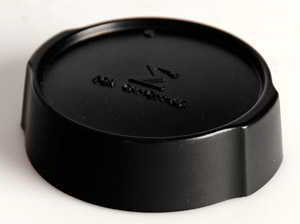 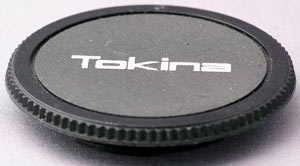 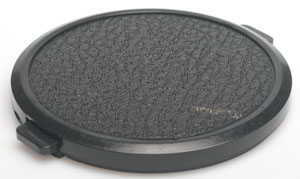 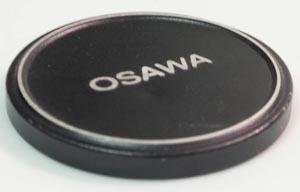 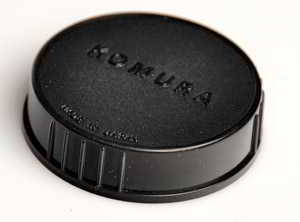 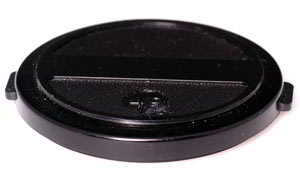 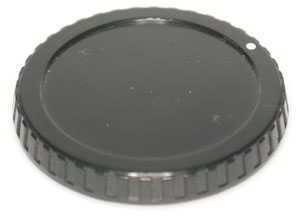 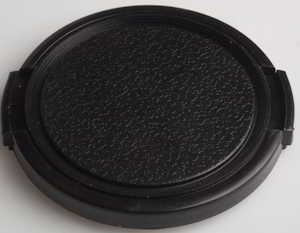 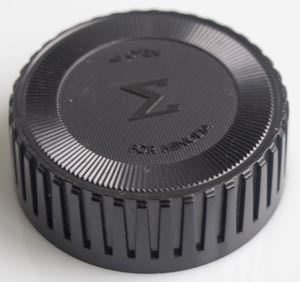 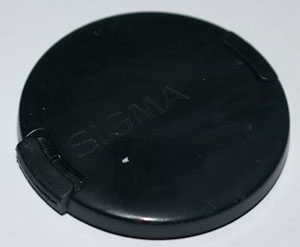 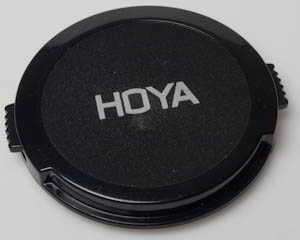 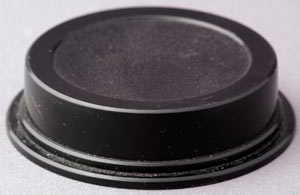 Comment: Sony 46mm Front lens cap Genuine manufacturer's item for the Sony DSC-S75. 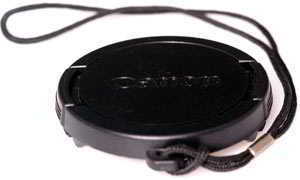 Clip on with strap hole and short cord, cap keeper. 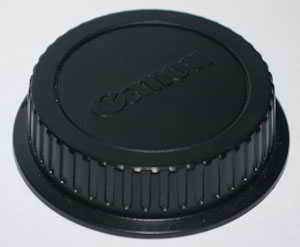 Comment: A 62mm female threaded hard plastic cap that fits ont the rear of a 62mm filter if you want to protect the rear side. 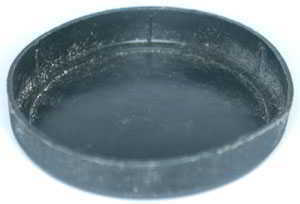 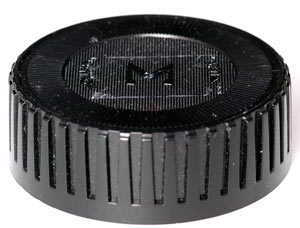 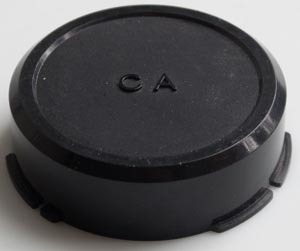 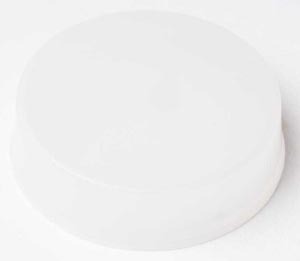 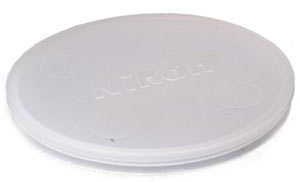 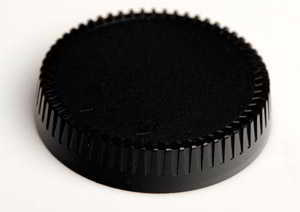 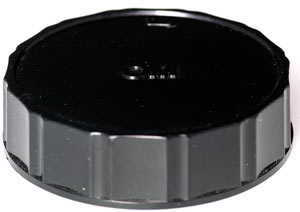 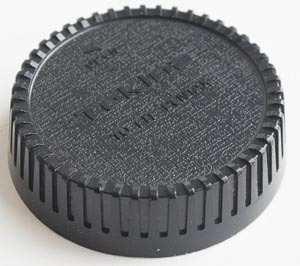 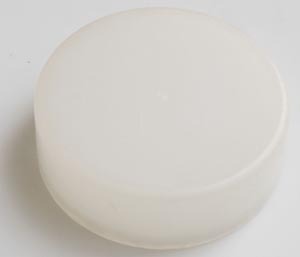 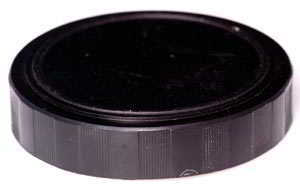 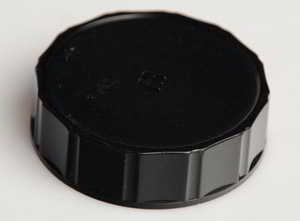 Comment: 34mm push on black plastic cap Says 34 on inside. 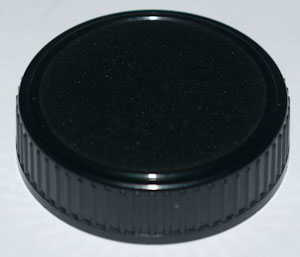 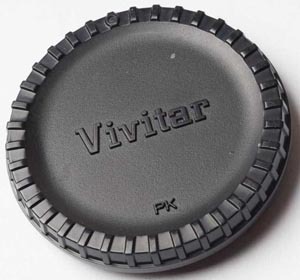 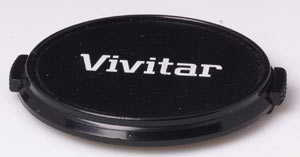 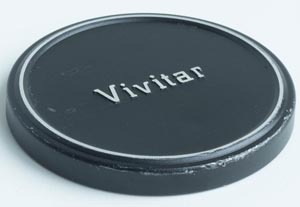 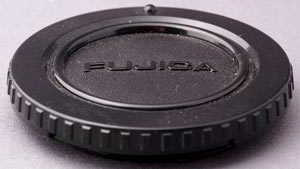 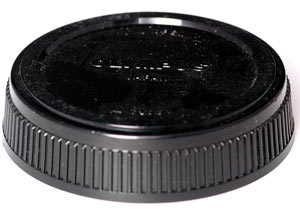 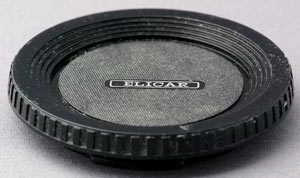 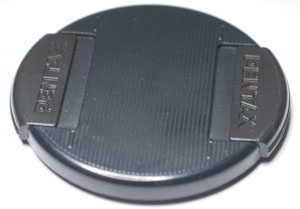 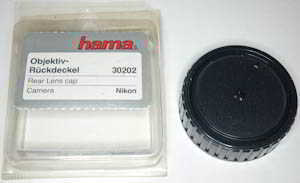 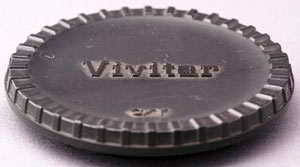 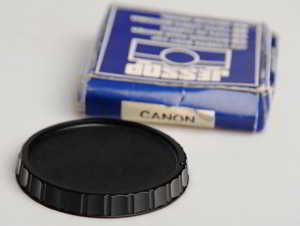 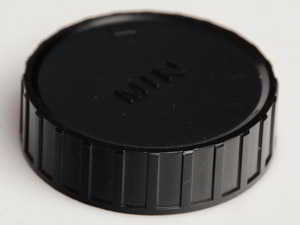 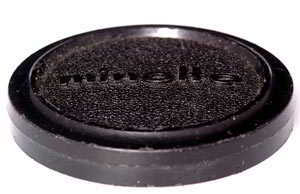 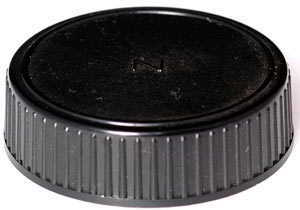 Comment: original 51mm push on lens cap for Vivitar 35mm film compacts, but will fit any 49mm thread lens. 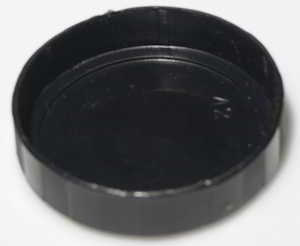 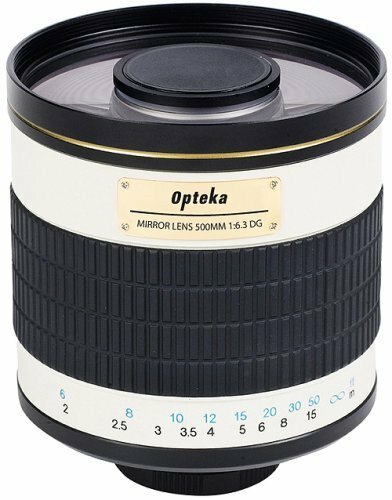 Comment: Genuine manufacturer's item supplied as front cover for a Vivitar 2x or 3x converter or extension tubes but also fine for Olympus SLR body protection. 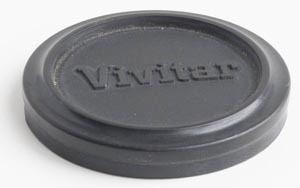 Comment: Genuine manufacturer's item supplied as front cover for a Vivitar 2x or 3x converter but also fine for Contax or Yashica SLR body protection. 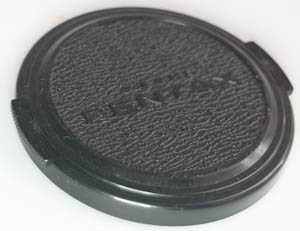 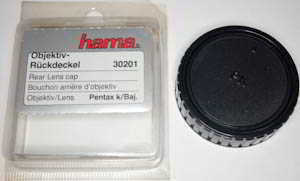 Comment: Genuine manufacturer's item supplied as front cover for a Vivitar 2x or 3x converter or extension tubes but also fine for Pentax SLR body protection. 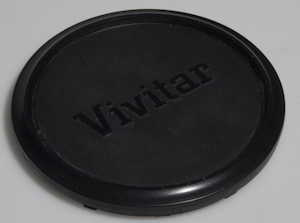 Comment: Genuine manufacturer's item supplied as front cover for a Vivitar 2x or 3x converter or extension tubes but also fine for Canon SLR body protection. 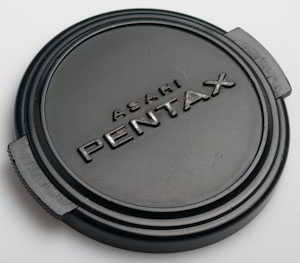 Comment: 72mm push on lens cap for 400mm f/5.6 and simliar larger lenses. Will also fit other makes with 72mm filter thread.